In 2009, the Rhode Island Department of Children, Youth and Families (DCYF) opened the Roosevelt Benton Center and the Thomas C. Slater Training School (also called the Youth Development Center) as an “intake and assessment center for non-adjudicated youth,” according to Kerri White, MA, Rhode Island’s DCYF communications director. Last year, Eleanor Slater Hospital acquired and renovated the facility to serve a different population. White explained that, in conjunction with the Youth Development Center, the $62 million Benton Center was intended to house youth for juvenile detention; some of whom may have diagnosed mental health needs. Initially, the Benton Center facility operated as a secure correctional detention and assessment facility. All detained youth were immediately enrolled in the Training School’s educational program, which is approved by the Rhode Island Department of Education as an alternative education program and operates year-round. All youth entering the Benton Center received a full physical and dental exam at the time of admission. In addition, all youth detained at the Benton Center received a mental health assessment. 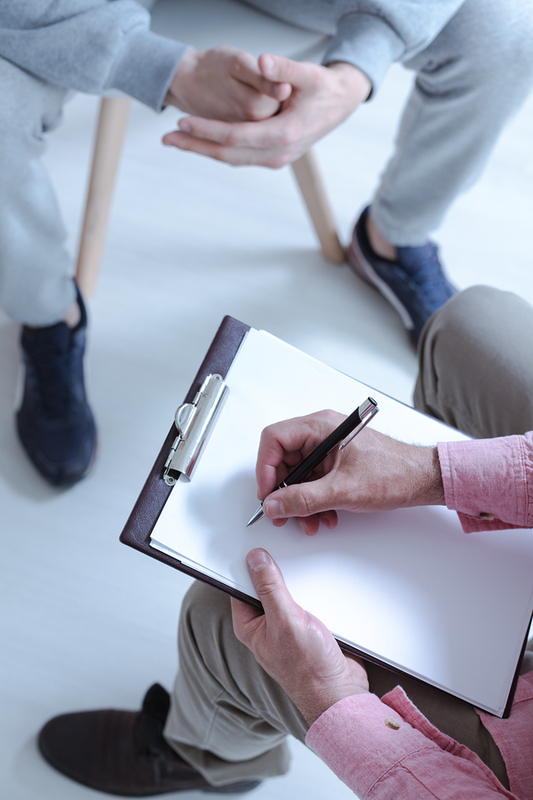 “Finally, a clinical social worker was assigned to the unit and a psychiatrist was available for consultation on both medication management and on-going treatment needs,” White said. In 2017, the Benton Center closed following reports of staffing, system and equipment issues; all youth were removed and are now housed in separate units at the Youth Development Center, a 96-bed facility where the census of both non-adjudicated and sentenced youth has hovered around 55 for the past eight months, according to White. As DCYF was vacating the property, Eleanor Slater Hospital was in search of an alternative facility. The Joint Commission had found deficiencies in its unit that housed psychiatric patients, patients who had committed crimes and psychiatric patients who had been civilly committed, according to Brian Daly, MD, chief medical officer (CMO), Eleanor Slater Hospital and RI Department of Behavioral Healthcare, Development Disabilities and Hospitals (BHDDH). Building a new hospital was fiscally unfeasible; but renovating the Benton Center made good sense, Daly noted. At a cost of $7.6 million, just shy of the $8 million budget, the center underwent an extensive overhaul, both on the interior and the exterior. Daly said that part of the retrofitting process involved adding several security features, such as more electronic sally ports and an 18 to 20-foot double perimeter fence topped by a razor ribbon. Inside the facility, nurse stations have been situated with better site lines; lighting alarms have been moved to a higher position so they won’t be broken; patient rooms are ligature resistant; and other safety measures have been implemented. Phyllis Hanlon has been a regular contributor to New England Psychologist since 1999. As an independent journalist, she has also written for a variety of health, medicine and business consumer and trade publications. She also serves as writer/editor for custom publications.